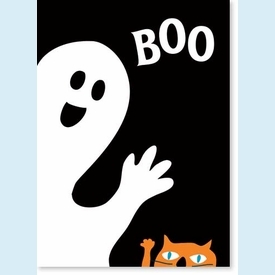 Fun Halloween greeting card features white flocked ghost on front saying "Boo" with scaredy cat peeking up from the bottom. 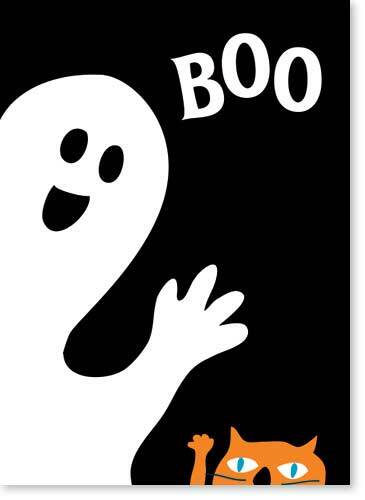 Inside text reads: "Scare up some fun this Halloween!" NOTE: Only 2 left!